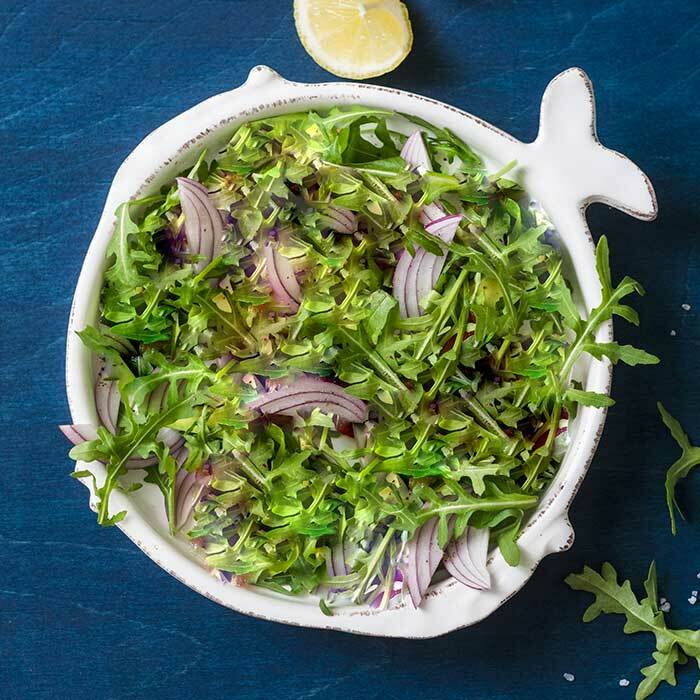 Using a large bowl, mix your salad, adding your fresh arugula. Cut the Gill's onions in half and add to the bowl. Squeeze the juice of two lemons into the bowl, and drizzle the olive oil in as well. Season with salt and fresh cracked pepper. Serve as a bed to any delicious protein. Serve as a bed for any delicious protein. Great with chicken, fish or beef.